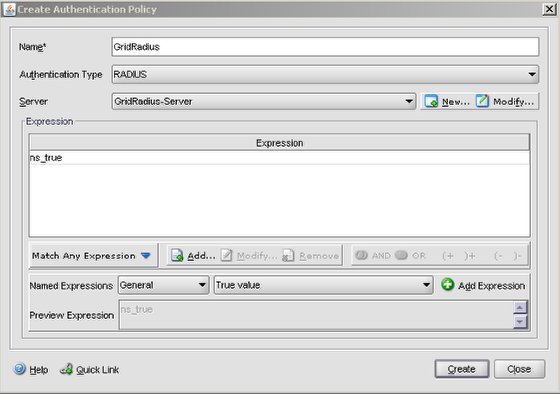 Create a RADIUS authentication policy. Server: Select the previously created RADIUS authentication server for GridGuard. Expression : Set the expression to ns_true. 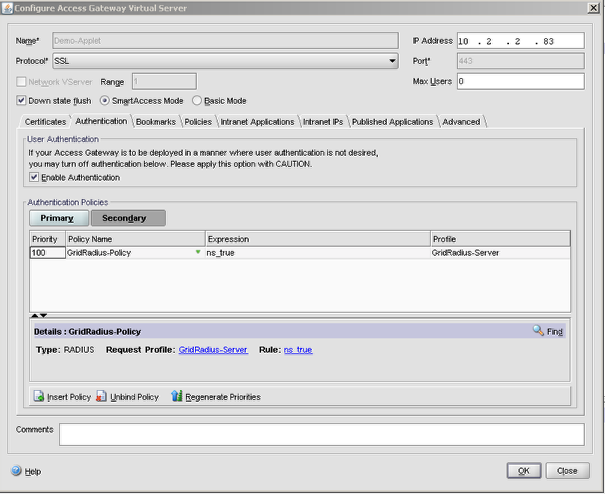 Now add the GridRadius policy to the access gateway's secondary authentication server.